I’m Jason Richard and own Steal and Escape with my wife Marketa in San Diego, California. We have been open for about four months and current have one room “Mysterious Stranger” with a second room on the way. Marketa and I were in Budapest on vacation and saw a small flyer that described an escape game and as we toured the city we found rooms everywhere. 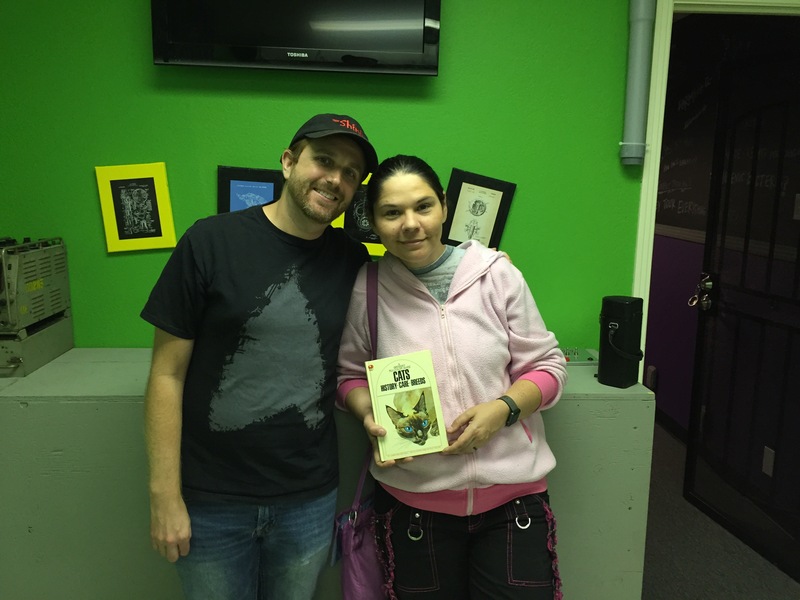 We decided to give one a try and 20 minutes into our first game I knew I was going to open one (The first room we did is still the best game we played, unfortunately we can’t remember its name). What makes Steal and Escape different from other escape games? We have two areas that make us different from other rooms. To start, I grew up opening anything I could get my hands on, from old stereos to locks to vehicles. I needed to understand the mechanics and electronics of everything, our games are designed with this mindset. Our puzzles are less about math and riddles and more about using objects and tools to find answers. Second, while most rooms ask the players to escape, our players start by figuring out how to get into the room and then escaping after the objective is met. What’s it like for you watching players play your game? Having taught teamwork, leadership and communication for three years, I appreciate a group that works together. When a person finds a clue or solves a puzzle and tells everyone what they accomplished, I get excited. I also love ingenuity. I rarely stop a group from solving a puzzle in a way that was not intended. Although there should only be one way to solve it, it’s awesome to see people think in a way that is so much different than my own thought process. Puzzles that are designed for different mindsets. When I do a room, I bring a crew that thinks different from one another. I like puzzles that make me ask another person to “take a look” because I have no idea where to begin. It gives everyone a chance to shine and shows that everyone playing has helped in completing the objective. Listen to the ideas from all members of your team. We frequently see someone with the solution ignored because their idea seems far-fetched. Your group has 60 minutes to solve the puzzle, it doesn’t hurt try everyone’s ideas. Miss Jean Louis of GISHWHES (Greatest International Scavenger Hunt the World Has Ever Seen) was born in a hut in Khôr ‘Angar, in the dirt. I’m going to be honest, I’d never actually heard of Khôr ‘Angar…so I looked it up. Hmmm…East Africa. Okay. 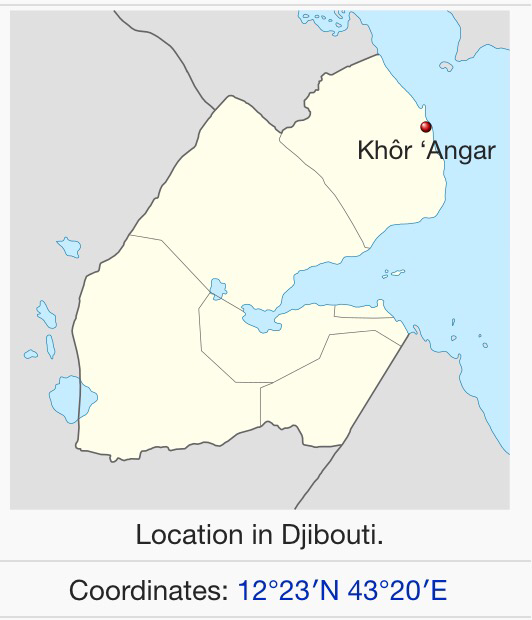 Khôr ‘Angar is a town in the northern Obock Region of Djibouti. It is situated on the west coast of the Bab el Mandeb Strait. It’s about 160 miles from Djibouti City which is a pretty important city in that area. It’s really warm there most of the time. January is their coldest month on average, but it’s still 80 degrees. (The average high in July is mid 90’s, but it does get in the 100’s sometimes.) I love living just north of Los Angeles in “The Valley” because our weather is a lot like Khôr ‘Angar…although I could do without the 100+ degrees in the summer. There are a lot less people in Khôr ‘Angar though. Their population is around 1,000. They have an airstrip there, so it seems possible to fly in for a vacation. I’m not sure how long Miss Jean Louis lived in Khôr ‘Angar, but I like to think she had many a fun childhood memory there. She probably knew everyone in town and they knew and loved her. I imagine she was a very friendly child and quite loved chasing bugs.